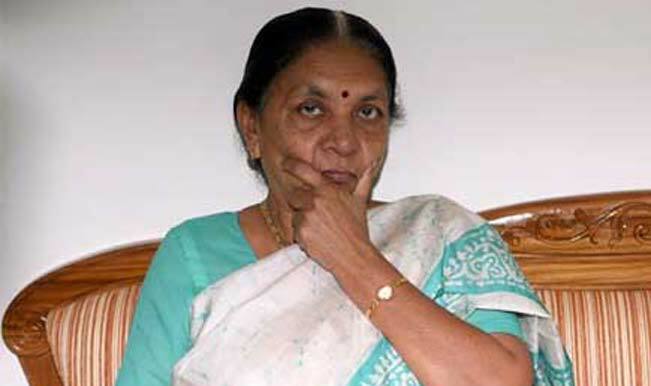 Is BJP high command losing faith in Gujarat chief minister Anandiben Patel? It would seem so, if looks into how it fielded Gujarat BJP spokesperson IK Jadeja, a small fry, to “deny” a top media report, which pointed to a “scam” in which business group associated with her daughter was allocated 250 acres of prime land off Gir lions sanctuary at the rate of just Rs 15 per square metre. The denial, in a Gujarati language press note, came even as political circles in the state were abuzz with speculation as to who is behind the effort to “dislodge” Anandiben Patel. There was a suggestion that BJP president Amit Shah, Gujarat energy minister Saurabh Patel and national BJP vice president Purshottam Rupala may have “ganged up” against the Gujarat CM. Jadeja, evading direct reference to the media report, said a Congress press conference on the “scam” was nothing but an indulgence in “mudslinging”, and there was “nothing illegal” about the allocation. However, he did not deny the land was allocated cheap, insisting, “The price was fixed after district and state level committees gave a nod, and the Cabinet approved it”, which happened in 2011 when Narendra Modi was chief minister. Senior BJP Subramanian Swamy had recently tweeted that a senior Congress leader Ahmed Patel with the help of a Shakuni (a scheming person) was seeking to “topple” Anandiben Patel government. However, on “disclosure” the land scam, he has decided to keep a stoic silence. Other senior BJP leaders have also kept mum. Meanwhile, referring to the scam, Delhi chief minister Arvind Kejriwal tweeted, “This is absolutely shocking. How is it different from Vadra deals?” AAP’s Vikas Yogi told mediapersons that Vadra’s deal was “nothing” compared to the Gujarat scam (click HERE). And the Gujarat AAP declared it would launch an agitation. Amidst the political imbroglio being played out in Delhi, interestingly, Anandiben Patel found solace from an unexpected quarter: Parimal Nathwani, Group President of Corporate Affairs at Reliance Industries Ltd, and an independent Rajya Sabha MP from Jharkhand, though belonging to Gujarat. Parimal Nathwani has been involved and contributed to Anandiben's family NGO gramshree. Even Reliance has done the same and it is in their annual reports.